OGB Architectural Millwork Inc. (OGB) is a progressive, full-service custom manufacturer based in Albuquerque, NM. 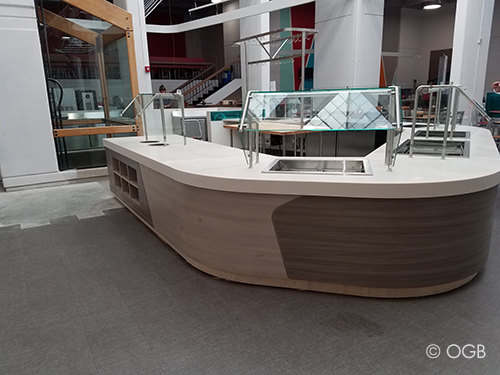 Backed by 80 employees and an impressive array of automated woodworking equipment, OGB is big enough to successfully complete multi-million-dollar projects while also being sufficiently nimble to take on smaller, fast-track jobs. 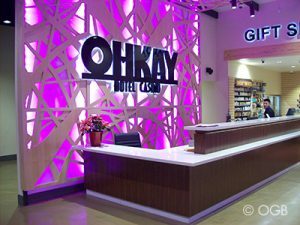 OGB’s long and diverse resume includes bank lobbies, corporate conference tables, architectural ceilings, casework for hospitals and medical offices, retail store fixtures, museum displays and high-end residential installs. 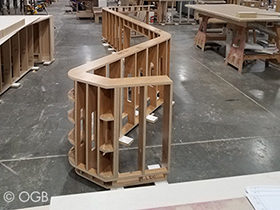 Much of OGB’s handiwork involves producing curvilinear parts and architectural details. 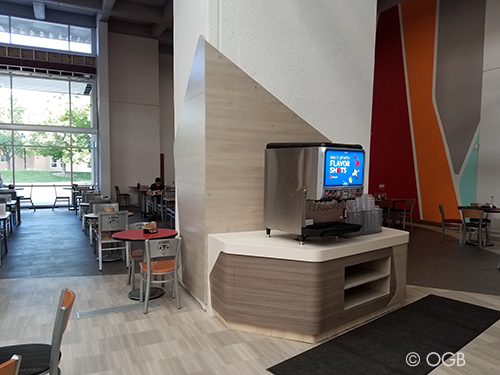 Projects mix and match solid wood, veneers, thermally-fused laminate, high-pressure laminate, acrylic, and solid surface materials. 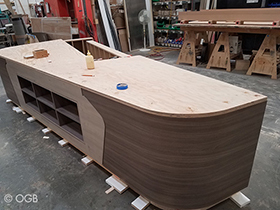 Keeping such a wide and diverse assortment of projects on schedule is a constant challenge for OGB’s project management and production teams. OGB not only met this challenge but significantly improved its entire design-to-manufacturing process by investing in new software. 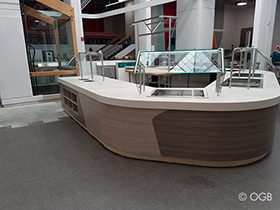 Since then, woodCAD|CAM has become OGB’s secret weapon. It’s a robust, all-encompassing software that not only speeds and enhances the process of project and product design, but also makes it a breeze to edit on the fly. woodCAD|CAM then instantly translates final designs into machine code to facilitate seamless production of parts. 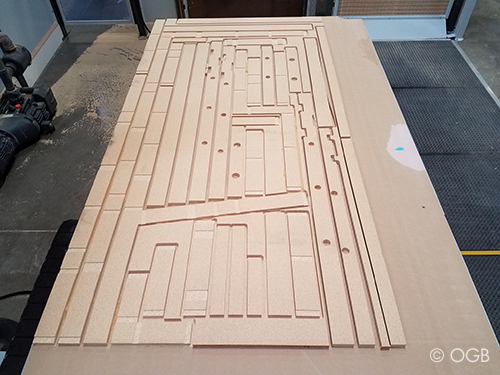 Even with this and other potential advantages of woodCAD|CAM in mind, Olivas and Devizio each said that upgrading to the next generation of Mircrovellum would probably have made more sense in the short run because of their working familiarity with the software. But, in the long term, based on past experience, they also realized that teaching new members of their growing department to use Microvellum would not be easy. Ultimately, OGB decided to bank its future fortunes on woodCAD|CAM and the pledge of personalized support from RSA Solutions. 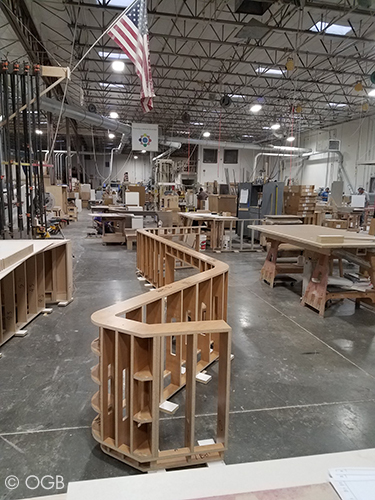 In the final analysis, Olivas and Devizio said switching to woodCAD|CAM has helped OGB maximize its CNC production capabilities, including several new CNC machines from Stiles Machinery. 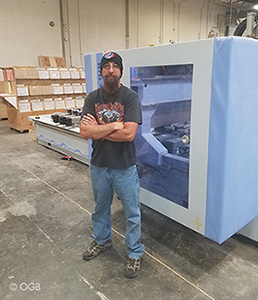 The powerful combination of time-saving, intelligent software and more productive advanced technology has helped OGB achieve back-to-back years of high-double-digit sales growth without having to expand the manufacturing footprint within its 28,000-square-foot facility.